Dark green color, linen like texture. These dark green Powis Parker Fastback LX binding strips are specifically designed for use with the Fastback 8x and 9 binding system. These particular LX strips are a Super Strip, a standard of strength and versatility. These dark green Powis Parker Fastback binding strips use the same thermal adhesive technology as Fastback's other binding strips--meaning you can count on quick and durable results. 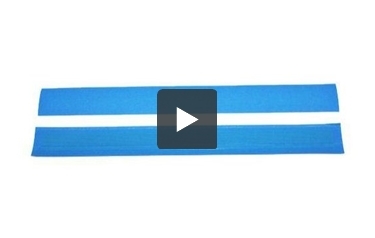 Fastback LX strips are available in narrow and medium width and a variety of colors.